Kahr said she grew up dutifully checking off all the boxes of society’s expectations — she worked a factory job, was married before separating from her husband, and raised a daughter. She followed the rules, she said. These days, however, Kahr is happy to report that at least one thing is becoming a little easier. 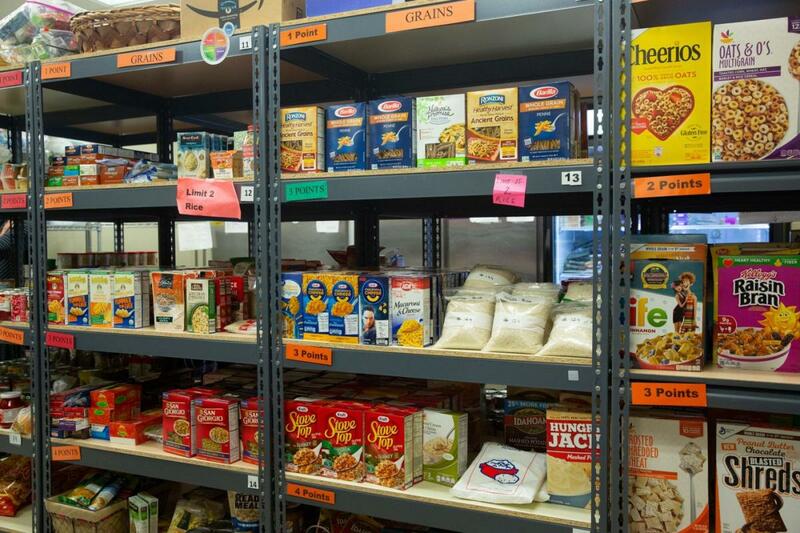 A pilot food program by hunger-fighting organizations in Montgomery County is connecting low-income people to food pantries via computer, a low-income twist on the kind of online grocery ordering normally reserved for people in higher economic brackets. The food pantry located at Manna on Main Street in Lansdale. Clients are allowed to choose items based on a system of points assigned to foods. Like a bodega at lunchtime, the food pantry run by Manna on Main Street, a hunger-fighting nonprofit in North Penn Commons in Lansdale, is bustling. Manna’s Market, as it’s called, is the size of a small corner grocery. It stocks a modest donated supply of items such as Cheerios, Barilla pasta, Stove Top stuffing, as well as produce and some dairy products, for low-income people who can get food there two times a month. The problem is, not everyone is able to access the pantry. The limited hours, the stigma of lining up for charitable food, the difficulty of finding adequate transportation, and some people’s physical disabilities all can make visiting a challenge. So the idea of ordering pantry food from a website took hold.